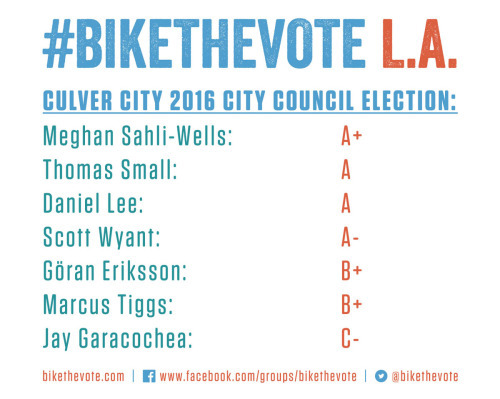 Bike the Vote LA is out with their voter’s guide for the upcoming Culver City elections. And in case you’re wondering why former Culver City Detective Jay Garacochea scored so low, it might have something to do with prioritizing traffic flow over pedestrian safety, even if he does ride a bike. You can find the full responses for all the candidates by visiting their website. The Guardian talks with former NYDOT Commissioner Janette Sadik-Khan about her new book and the battle to give the city’s streets back to people, instead of cars. Thanks to Jon for the link. Speaking of which, she’ll be speaking with LA Times architecture critic Christopher Hawthorne at the Hammer Museum in Westwood this Wednesday. Tickets to the event are free. 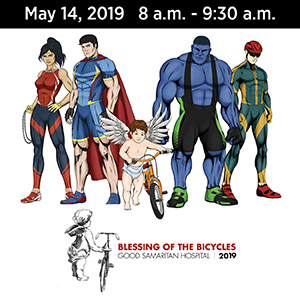 My friend, popular cyclist and LA yoga maven Joni Young, is raising funds to take part in this year’s Climate Ride as part of Team LACBC. As of this writing, she’s raised $711 of the $3,000 goal. If you’d like to help a great person raise money for a good cause, here’s your chance. Lots of news on the bike racing front. Former pro cyclist and current Cannondale team manager Jonathan Vaughters says it’s time for professional cycling to grow up. VeloNews is giving away a new BMC bike hand-painted by cycling scion Taylor Phinney. Forty-six-year old Columbian cyclist Maria Luisa Calle gets a four-year ban for doping after failing a drug test at last year’s Pan American Games. UK track cyclist Victoria Williamson is recovering after the devastating fall that nearly left her paralyzed while competing in Rotterdam. Bo knows biking. Former football, baseball and track star Bo Jackson says the real athletes ride in the Tour de France. And an Israeli cycling team will ride the same roads cycling legend Gino Bartali rode as he smuggled documents to save Jews during WWII; the devout Catholic also hid a Jewish family in the cellar of his Florence, Italy home until it was liberated in 1944. 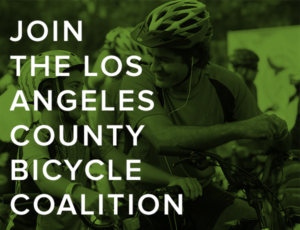 The LACBC’s monthly Sunday Funday ride, delayed a week because of last week’s CicLAvia, rolls this Sunday with a pre-St. Paddy’s day tour of DTLA. The annual Fargo Street Hill Climb up LA’s steepest street rolls next Sunday, the 20th. The Source provides a calendar-ready list of open streets events through the end of June. Metro turns to students at the Otis School of Design for fashion-forward styles to encourage more women to get on their bikes. Santa Monica police will be conducting yet another bike and pedestrian safety crackdown on Sunday. So try to ride to the letter of the law until you cross the city limits. Whittier police use a sting bike to bust a pair of bike thieves. Laguna Niguel opens a .7 mile multi-use path along Oso Creek. Newport Beach considers a road diet complete with buffered bike lanes to improve safety on Bayside Drive. The tipping point that caused the Marines to crack down on trespassing Miramar mountain bikers came when riders on a covertly crafted trail crashed the funeral for a fallen Marine. People for Bikes reports 19% of people over 55 ride bikes in 2014, since it offers low-impact exercise with a long list of health benefits. Next City offers women advice on how to deal with harassment when you ride, sexual and otherwise. A Washington man recovered his stolen bicycle from in front of the same credit union where it was stolen two years earlier; another man parked it there after buying it from a thrift shop. The Denver engineer who invented the sharrow says he came up with it because he was constantly pressured to do less. Evidently they take traffic crime seriously in Colorado, as a 20-year old drunk driver who ran down a cyclist will be 30 when he gets out of prison. What the hell is wrong with people? East St. Louis drivers actually drove around an 11-year old boy as he lay injured in the street following a hit-and-run. Chicago could have an elevated bike path stretching nearly two miles along the Chicago River by the end of 2017. A Minneapolis baker puts his buns in the saddle to make his deliveries by bicycle. 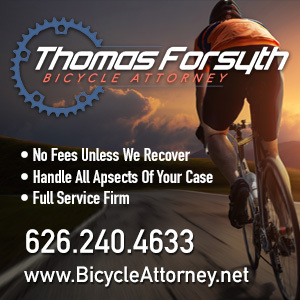 A Virginia bill would impose a $50 fine for dooring a cyclist. Make it $500, and people might actually pay attention. Cycling Weekly traces the evolution of the cycling cap from practical bikewear to hipster fashion. This is why people keep dying on our streets. A British driver gets just seven years for a fatal DUI collision, despite 31 previous convictions, including eight for drunk driving and six for driving without a license. But at least he lost his license for nine years. Not that it will stop him, evidently. Australia’s New South Wales is apparently going out of its way to put an end to bicycling, including fining two cyclists the equivalent of over $300 for doing trackstands at traffic lights. Which isn’t even against the law there. It’s not a bike, it’s a 75 pound two-wheeled weather station. If you can’t ride, at least you can color. And before you sue a bike seat maker for wrecking your marriage, make sure that was really the problem. Is it just me, or does this come across a little bit sexist? 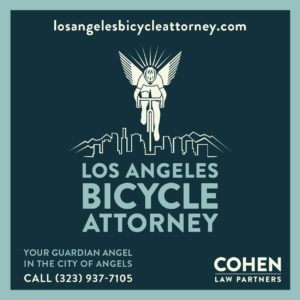 It isn’t that riding the mean streets of LA can be frightening/dangerous keeps women off bicycles. It isn’t that bicycle seat design may be uncomfortable for women. It isn’t the whole macho “speed speed speed” thing that women don’t like. It’s the fashion. ‘Cause, y’know, chicks and clothes. Amirite, fellas? I mean, maybe if Metro put a vanity mirror on the bike so the girls could fix their makeup, that might inspire more women to ride. I’ll admit, I’m not all that into fashion. The best I can say is that I do try to get bike clothing with the same red/white/black color scheme as my bicycle. But when I read articles like this, I just think of the old Dodge LaFemme. I have to admit, it bothered me, too, but I decided to let it go last night and see if it bothered anyone else. I get that one factor keeping some women from bike commuting is the need to dress well for work, and they don’t want to arrive sweaty; a woman gave me that exact reason earlier this week when I suggested she try riding to work. So the concept of clothes that would help them arrive feeling and looking crisp and stylish is a goof thing. But even though men have similar concerns, I can’t imagine Metro sponsoring new suit designs for male bike commuters.